If there's one kind of beauty treatment I love getting done, I think that would be going on frequent nail salon visits. I just enjoy seeing my nails with colours. I guess you can say my hands and feet are the most spoiled body part!=P One of the nail salons I love going to is none other than, Posh Nails. To my husband, take the kids with you when you shop, i'll be right here waiting. Hehehe! Before starting with my mani-pedi, I was asked by my attendant Ate Julie if I wanted the strawberries and cream or watermelon themed mani-pedi. I learned that the watermelon was new, so I chose that! Along with my watermelon scrub, I got a complementary watermelon juice. Yey! :) It was refreshing both for me and my skin! Before leaving, I also saw my hard working girl/friend, Krissy! :) She works nearby and what's great about Posh Nails Perea is since their located at the heart of Makati's business district, they're open until 10 PM to accommodate the working women of the Metro looking for some de-stressing. I gave my daughter a spa-rty at Posh Greenhills when she turned 11 a few years back. Hahaha! Ang tanda ko na! 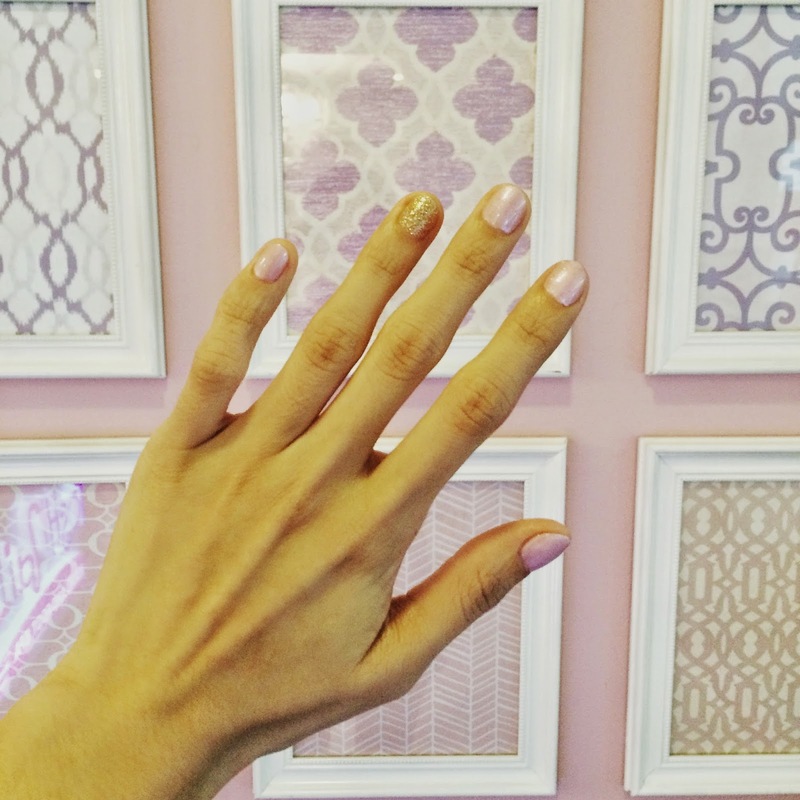 I agree, I love Posh Nails because rates are affordable without sacrificing quality.